LiFePO4 (Lithium Iron Phosphate) battery which is for solar energy storage. E&J launched LiFePO4 (Lithium Iron Phosphate) battery which is for solar energy storage. Lithium Iron Phosphate (LiFePO4) lighting systems. E&J was one of the first battery suppliers in China who launched the range of lithium iron phosphate batteries for emergency lamps in 2012. After more than four years’ practical use it proved the good performance of lithium iron phosphate batteries in emergency lamps and exit lights. Lithium batteries for personal care products. Rechargeable batteries for personal care products are one of the featured products. We’ve shared more than 60% on electric shaver batteries in the domestic market and we are expanding our overseas market. Our batteries are CB and UL certified. We can customize the battery packs according to your different requirement. We offer different battery solutions. Lithium Iron Phosphate LiFePO4 battery pack for solar and wind off-grid power storage. The batteries used to store solar and wind energy are currently mainly lead-acid batteries. Short lifespan and low cycle number of lead-acidbatteries make it a weak candidate for environment and cost efficiency. E&J Lithium iron phosphate (lifepo4) batteries for ATVs, UTVs, Snowmobiles, Race cars, Power Sports. Lithium iron phosphate (LiFePO4) batteries for POWER SPORTS ( ATVs, UTVs, Snowmobiles, Race cars). Replaces your standard Lead-Acid or AGM battery at only 20% of the weight, ultra-lightweight and will last up to 5 times longer than a stock lead-acid or AGM battery. Dry cell, no acid, no gassing splashproof/shockproof. Inbuilt BMS requiring no cell balancing.Direct drop-in replacement compatible with all 12-16v charging system onboard. Mach more linear power than Lead-acid or AGM. 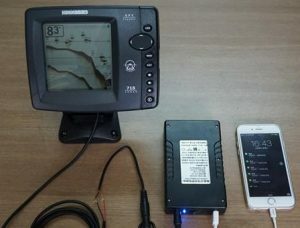 12V Lithium portable power for powering your fishfinder or any other electronics on your kayak. With USB ports, support smartphone or GoPro etc..
12V Lithium batteries replace of SLA (Sealed Lead Acid) battery for trolling motors such as catamaran sailboat. High quality upgrade E&J lithium-polymer battery packs to suit all 24V/36V/48V OSET e-bikes models. 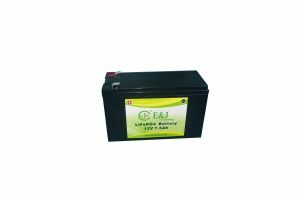 This battery pack will DRAMATICALLY improve the handling and performance when compared to the standard SLA (Sealed Lead Acid) batteries. They are less than 1/3rd of the weight, last up to 3X longer and can be charged up in 1hr with an optional high powered charger, a high-quality 3hr smart charger is supplied as standard with this kit. The E&J LiFePO4 batteries refer to the Lithium Iro Phosphate(LiFePO4) Chemistry used. LiFePO4 or LFP batteries retain all the regular benefits of lithium-ion batteries but are significantly safer and are not prone to the overheating and explosive issues found in other chemistries. This chemistry allows for charge/discharge rates up to 10X that of lead acid chemistry( including AGM, Gel, Flooded, sealed, etc.) other benefits include full depth discharge capability, 1/3 the weight and up to 5 times the cycle life of conventional lead-acid. An easily portable, rugged & waterproof case to withstand a drop of water and even floats! Built-in Fuel Gauge to check the battery in real time. USB charger socket (power outlet 5v1A & 5V 2.1A) for charging mobile devices, light, light heating, etc. 12v DC car Cigarette lighter socket. Wired and ready to use. Overcharge and short circuit protected.